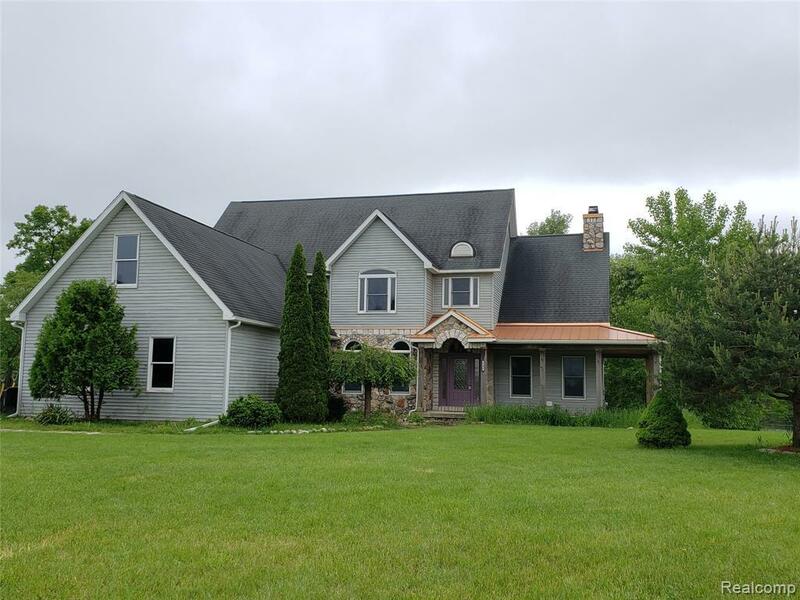 Excellent 2 story home on 12 acres, 5 bedrooms master on first floor., 6 baths , open floor plan kitchen dining and great room with fireplace. Laminate floors through out for easy care. Out side includes a fenced in 20x50 salt water pool with two baha shelves and safety cover and black aluminum safety fence. Each bedroom has it's own bathroom and walk in closet. Very Large Trex deck with frame for dining on a sun filled day. Acreage includes 2 stall barn, run in shed, water at barn and separate electrical service. Property zoned agricultural. Barrier free bath on first floor. Current owners enjoyed raising Alpacas and are moving because of employment. This home is at the end of a private road and affords a privacy factor that is enjoyed with a possibility of a gated entrance to property. The 3 car garage with the possibility of building a pole barn near the house. 24 notice to show please.